Do you travel to Atlantic City or even Las Vegas? Do you love the thrill of going all-in for the chance to take the entire pot? Century Billiards and Game room wants you to feel that same adrenaline rush you get at the casino but in the comfort of your own home. 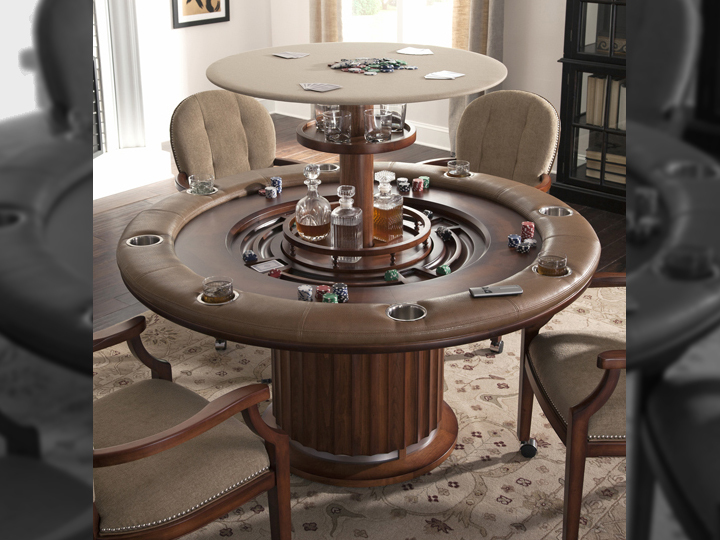 Invite the fellas over for guys only poker night or sit down with the kids and teach the art of poker on your brand new Texas Hold’em Table or multifunctional game table from Century Billiards. 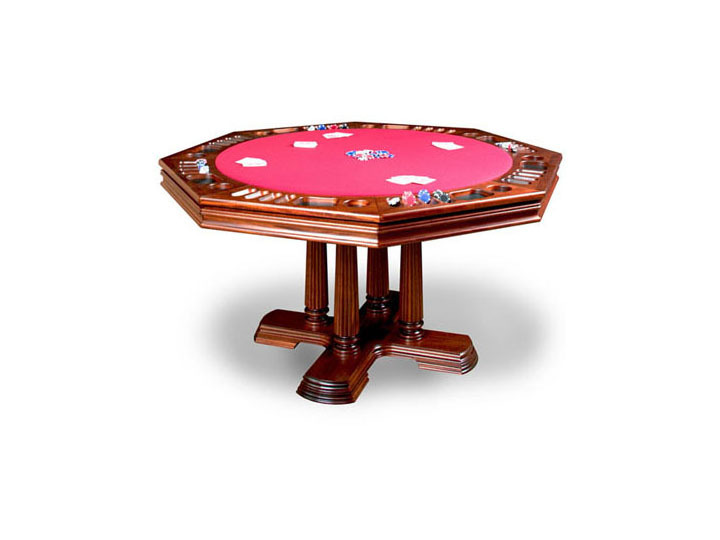 Here at Century Billiards, we have a wide selection of quality poker tables that will be sure to impress your friends and family. With many different styles, sizes, shapes, and numerous custom options, let the New York poker table specialists at Century Billiards assist you in designing your own custom poker table. We work with quality American made manufacturers like California House & Darafeev, to bring you a high-quality selection to best suit your needs. We can also provide you with poker accessories like game chairs, chips, cards and poker sets. 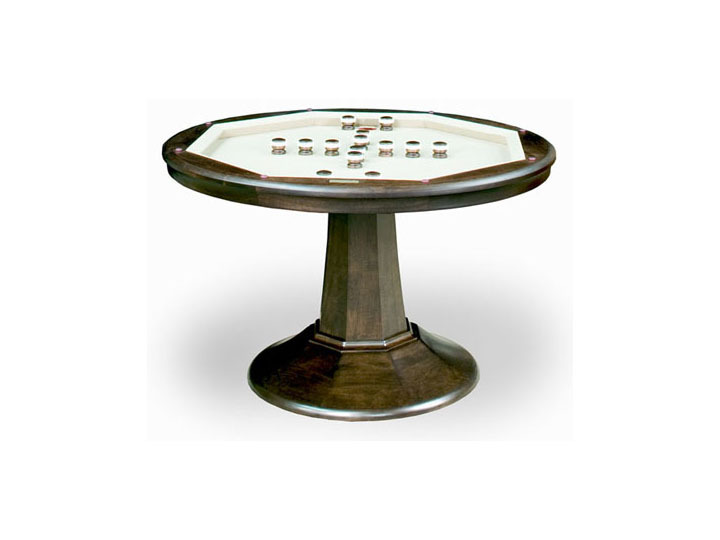 Please feel free to browse through our poker tables on the right-hand side of the page. 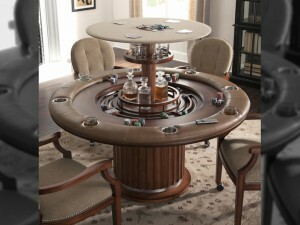 If you see something you like or have ideas for a custom poker table contact us for more information.